Youth Method 14 Day Diet Detox Review - Legit Or Not? Youth Method 14 Day Diet Detox Review – Legit Or Not? Well known author with years of experience, credentials and a vast clientele. Simply laid out plan with all the meal plans arranged for the 14 day duration of the program. Delicious and wholesome recipes that do not take too much of your time. Completely natural program that addresses fat loss, energy levels and youthful skin with a wholesome, nutritional approach. The recipes are there to stay thereafter, can be used as a new direction on what you put on the table for your health, body weight and the way you look and feel. Common sense and real-life plan designed to wean you off processed foods, sugars, carbs, alcohol plus other unsuspected culprits. Affordable. Simple digital format calls for simple delivery and low costs. Excessive marketing hype about the good genes and the bad genes switch. Rather than genes, the goodness of the program lays in the healthy, well balanced recipes and the use of natural ingredients instead of processed foods. Claims to lose up to 15 pounds and look up to 10 years younger in only 14 days may be not typical and probably not possible for the majority, though this does not take away anything from the goodness of the program. No physical version available for those who prefer it. The Youth Method 14 Day Diet Detox is a natural fat loss, detox and rejuvenation program for women over 35. It was created by Erin Nielsen with a common sense approach coupled with scientific back-up to address typical problems associated with aging, like belly and waist expansion, extra unwanted pounds and wrinkling or sagging skin. This means it is a multi-task program, not just a simple diet plan, though nutrition is the foundation of it. The program promises to help you shed 7 to 13 lbs of fat in as little as 14 days, the duration of the program, while restoring vitality, energy levels and a more youthful look due to the detox effect on your body and skin. What is attractive of this plan is that it is based on real healthy, wholesome nutritional guidelines and not boring and unpractical calorie counting or restrictions. Fat loss burning occurs through a switch to unprocessed, healthy foods with particular attention against sugars and through a process called “Genetic Reset Eating” that is allegedly designed to turn on your good genes and start up the high metabolic rate and detoxification process, leading to a flat belly and a younger look. Here you will find out how this program works and whether it leaves up to its claims. Stay tuned. Who Is The Youth Method 14 Day Diet Detox For? This is a program designed by a woman for women over 35 who want to boost metabolism, shed fat, improve energy levels and sleep and naturally rejuvenate through a sound nutritional approach. Having said that, the recipes included in the program are really delicious and there is no reason why men would not love and benefit from them. You should also check our 21 day Sugar Detox review and Total Wellness Cleanse review. The Youth Method program focuses on inflammation as the main cause for weight gains and intoxication. Inflammation is caused by an excessive consumption of sugars and processed foods that allegedly turns on the “bad genes” that cause slow metabolism and fat accumulation. The author provides references to these studies like this one on https://www.ncbi.nlm.nih.gov/ and this one on epigenetics and lifestyle and many more to support her claims. Based on her own personal experience and the back-up of her findings, she came to the conclusion that calorie counting diets do not work for anyone and especially for women over 35, because they do not address the core problem of inflammation with all the nasty side effects that go with it. That is not limited to a lethargic metabolic rate, but includes also low levels of energy and high levels of toxicity that are reflected on a aged looking skin. In fact, traditional calorie deficit may even exacerbate the problem. Erin Nielsen makes it clear that in order to lose weight by burning fat you actually need to eat, only in a sensible way. Out the processed foods and sugars, as expected, and in the wholesome foods. What is surprising is that The Youth Method program also place a ban on foods normally considered seemingly healthy, like legumes and pulses, or soy milk. Who would have thought that beans and lentils should be avoided? The solution for this situation is a patented system devised by Erin called Youth Method Switch. This strategy is based on the assumption that generic diet plans fail because they completely miss out on reprogramming your genes to induce the good ones to kick in and spur fat loss, detox and rejuvenation. Now, this may be true but it may also be a good sounding marketing technique to say that you basically need to ditch poor quality foods and concentrate on wholesome foods for this shift to happen. That modern diet wreaks havoc on our bodies with all associated health hazards like diabetes and obesity is no mystery, what is difficult to figure out is how to get out of this vicious loop and what foods to rely on for a healthy life style and physique. The Youth Method 14 Day Diet Detox has made a good job to remove this burden, with a complete list of the foods you need to eat and the ones you must avoid, making it a fool proof method with healthy nutritional guidelines, with no trial and errors on the agenda. The point of the program is to switch to the healthy foods that keeps your energy levels constant through the day, without energy drops and cravings that can only result in weight gain and a self-fueling dependency on sugars. The Genetic Reset Eating is where the rubber meets the road, that is how the Youth Method Switch finds its practical application in real life and how you go about the program. First Day – This is when the Youth Method Switch is first activated in order to turn off the bad genes responsible for weight gains and poor skin texture, allegedly in less than 24 hours. Second Day – This is when you should start seeing the first tangible results, however minimal, that will continue for the weeks to come, even after the end of the 14-day standard program. years younger by the end of the program and lose up to 15 pounds and 3/4 inches of belly fat (more on this later). The meal planning is organized on a daily basis, with breakfast, lunch, dinner, detox drinks, smoothies and snacks all laid out. The recipes details all ingredients and steps, but they vary in complexity depending on the dish, drink or snack. The most time consuming take about 30 minutes to complete. They all look really yummy, with a nice balance of the macro nutrients. You get smoothies for breakfast like the Vanilla Berry Smoothie or the Radiant Skin Blueberry Smoothie. Main dishes are like Chicken Lettuce Wraps, Shepard’s Pie, Chicken with Guacamole, or Mustard and Garlic Chops, so really attractive and well balanced dishes. Detox drinks and snacks include home made bars like Blueberry Power Bar and Raspberry Mint Detox and more. The Youth Method 14 Day Diet Detox makes quite unusual claims when it comes to “good genes” and “bad genes”and how to turn them on and off. Sure, Erin provides references and studies, but this is secondary to the real value of the program and more like a marketing embellishment, though it has its time and place. What really counts about this program is its guidelines on wholesome foods and the recipes that go along with it, all very much common sense and feasible. The Youth Method 14 Day Diet Detox is more like a nutritional life-style recipe blueprint that steers you off the usual suspects, like refined sugars, excessive carbs or alcohol, other seemingly harmless foods that you could not guess are in fact harmful, and towards healthy and nutritious foods instead. Another plus point of the program it that it is completely natural and realistic and does not advocate extreme measures like liquid fasting or cleansing of detox programs of old, and you can also keep eating meat and coffee as normal. The fat loss process, the detoxing, the high energy levels and the skin radiance effects are in fact all connected and the result of a healthy nutritional approach rather than rocket science. To conclude, this is a realistic detox and fat loss plans because it is NOT too different or more complicated than your current diet, but it removes all the processed foods and sugars and replaced them with detox drinks, without sacrificing goodies like meat or coffee at the same time. 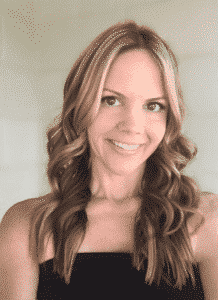 Erin Nielsen is a 43 year old Board Certified Physical Therapist, Certified Health Coach, Pilates Instructor and Primal Blueprint Certified Expert from NY. Like many others, in her younger days she simply followed an unhealthy diet of processed foods and carbs that saw her gaining weight, looking older and having trouble sleeping. While busy as a Physical Therapist, she turned her attentions to health and nutrition and with time she developed a system to detox and lose fat to younger day levels. She particularly focused on aging and the effects of the environment on DNA modifications. The Youth Method 14 Day Diet Detox plan captures the essence of many years of experience and results on herself and her clients. This weight loss and detox blueprint may also be the ideal complementary nutritional plan to the other flagship plan of Erin Nielsen, Toned In Ten, a home based body weight workout plan for those who do not have time to waste in a gym, of which you can read the review here. The bottom line is that Erin Nielsen is real and well qualified for the job, with years of activity and a lot of clients’ success stories. The Youth Method 14 Day Diet Detox – The main part of the program with all the recipes, meal plans, and anti-inflammatory foods selection to reactivate metabolism. 24-Hour Rapid Results – A manual showing how to shed fat and toxins and align your natural fat loss and skin tightening rates together for a tight skin on your reduced belly. The Transformation Guide – Extra information on how to motivate yourself, stay on track and belly flattening rates. The Youth Method 14 Day Diet Detox is an all natural recipe and meal planning program that addresses different aspects of health like metabolism, fat loss, detox, energy and skin radiance. It does so by tackling the problem at the root: nutrition. By removing sugars, excess carbs, processed foods, but keeping meat and adding detox drinks and smoothies into the mix, it provides a common sense and effective way to wean your body off sugar and processed foods dependency for energy. As a result, it helps you get rid of inflammation, unwanted fat and toxins along the way with the extra bonus of a more youthful look. Claims that you can do so in just 14 days may be not typical though. However, since the recipes are all natural and wholesome, you can use them for as long as you like thereafter until you reach your goals. On a side note, this is not a plan suitable for vegetarians, as it implies the consumption of meat. The Man Diet Review – Does It Boost Your Testosterone Or Is It Phony?